Thinking of earning an associate degree in Alaska? 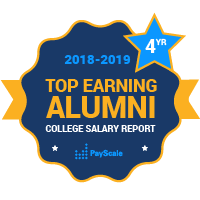 PayScale ranks two-year colleges by top earning alumni. Alaska, nicknamed “The Last Frontier,” and the largest and least-populated state in the United States, might not leap to mind when you’re thinking about colleges and universities that produce high earners. Its economy is dominated by the fishing, natural gas, and oil industries, which all take advantage of resources that the state has in abundance. But for two-year colleges in Alaska, there is still a bright opportunity for Alaskan students who are looking to further their education at a low cost with a substantial return in terms of median salary. Alaska two-year schools often produce competitive median salary numbers for all U.S. junior colleges ranked in PayScale’s College Salary Report.